Vichy Dermablend is a name you should have come across at one point or another in the beauty world. Known for the impressive corrective/camouflage properties (if you don’t believe me see HERE) Vichy’s Dermablend line is the line to go to if you want coverage without applying a ridiculous amount of product to your body and/or face. that are aimed at WoC. 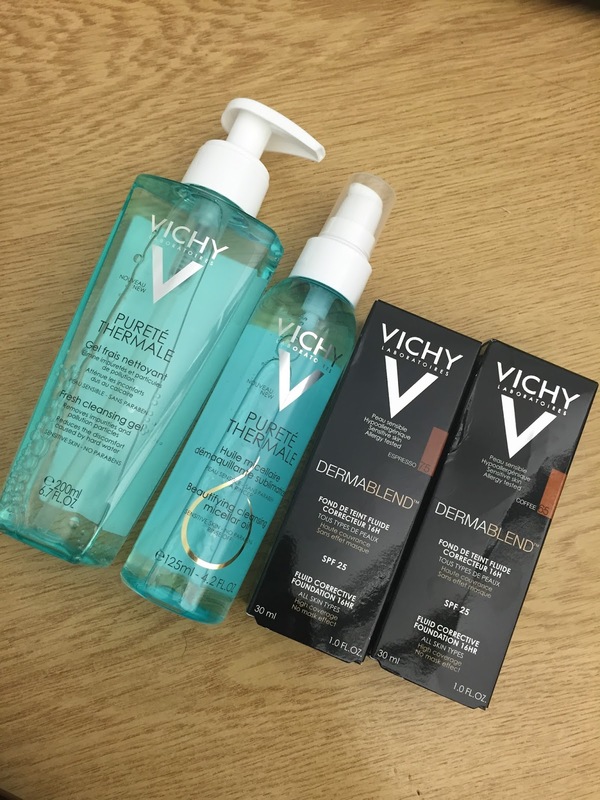 I was sent the new shades in 65 Coffee and 75 Espresso* as well as the Vichy Purete Thermale Beautifying Cleansing Micellar Oil* and the Vichy Purete Thermale Fresh Cleansing Gel*. I have never tried anything from Vichy range or from the full coverage Dermablend line however I had my preconceptions. 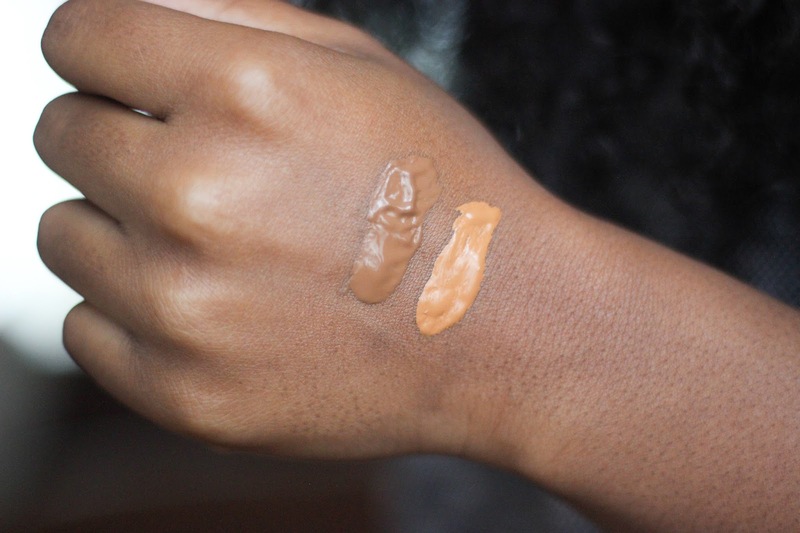 When I think full coverage I think heavy and sludgy so I have to admit I had my reservations about this foundation but first let’s talk about the two new shades. Coffee is what I would call a deep warm beige on my skin tone – let’s get straight to the point – far too light for me and for most WoC. The disappointment was real. Espresso was much more realistic in terms of deeper skin tones with it being darker but packed with neutral undertones which made it come off cool toned. Coffee was too light and Espresso too dark but combined together they made an almost perfect shade for my NC50 skin tone, I say almost perfect because the combined shades come off more neutral than warm on me. Everything else about this foundation is, however, pretty impressive! It feels ultra lightweight on the skin, I almost forgot I was wearing foundation, but offers fantastic coverage as expected just remember a little goes a long way so do not feel tempted to slather this on. This dries to a natural demi matte finish and has outstanding wear time. This foundation claims to offer 16 hour wear – I’ve never been in a situation where I’ve needed to wear foundation for 16 hours but I did wear this for around 7/8 hours with no touch ups needed and hardly any excess oils which is frankly a miracle for my oily skin! To remove the foundation at the end of the day I used the Cleansing Micellar Oil. I’m a big fan of cleansing oils as minimal effort is needed to remove most of my make-up. It also means I’m not left with tight skin after washing and no stingy eyes – result! The cleansing oil is no different and I’ve been using it religiously to remove my make-up, from waterproof mascara to foundation. One thing to note is that this product does contain mineral oil. To ensure everything is removed from my skin I then follow with the Fresh Cleansing Gel. This smells great and doesn’t leave my skin feeling tight but as facial washes go (let’s face it – that’s what it is) it’s as standard as any of the facial washes I’ve used. All in all the foundations are, in my opinion, fantastic for wear and comfortability but fall short in terms of shade range. They seem pretty unrealistic for WoC and with only two deeper shades I have to say I am a little disappointed. I hope Vichy will work on this and perhaps release some warmer and deeper shades in the near future. For more information and to buy the Vichy Cleansing Oil and Gel visit Escentual. *These products were sent to me to review. All opinions are my own and 100% honest. Please see my DISCLAIMER for more information. I wonder if we have this color in canada? 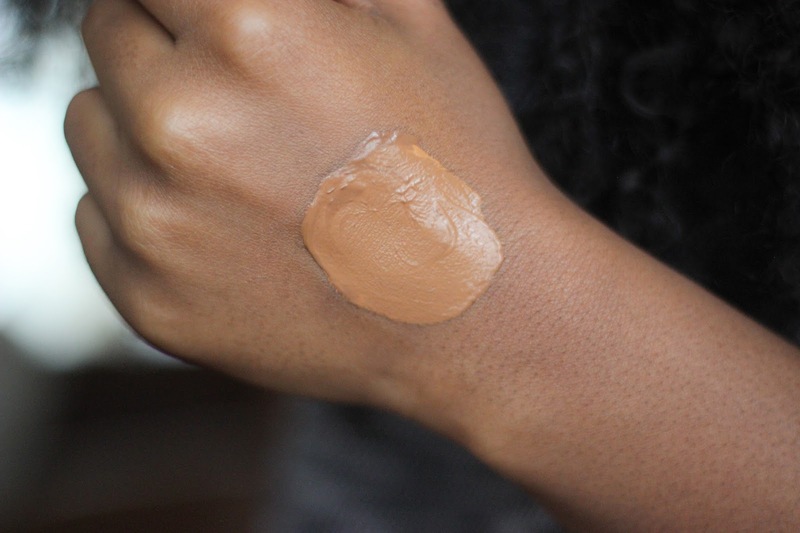 Hey Christerline, I cant wear this alone as it has very strong neutral undertones and is around a shade too dark, so if you tend to have a warm undertones I would recommend avoiding this foundation or mixing it with a warmer foundation. If this was warmer I think it would be a better match.